Yes, I know hate is a strong word, but I don’t know what else to say about them. They’re creepy. They can spread scary diseases, and they seem to enjoy munching on my family. While I know I can run out to my local drugstore and buy spray that will fend off ticks, I don’t like the thought of my children wearing such strong chemicals every day (or at all, really). So I went online and read through my herbals to find natural insect repellents that others have not only used to ward off mosquitoes and other common bugs, but most importantly, ones that would keep the ticks off my kids. The tick problem has become so bad that ten minutes outside will yield at least 1 tick. And we don’t even live in the woods! I tested the following recipes on my whole family and so far we haven’t seen any more. Before I share the recipes, if you’re bitten by a tick and see a rash forming, or any other strange symptoms such as fever, chills, body aches, etc., consult your doctor. One of my children had an allergic reaction to her tick bites. For these, I used olive oil and V-6 oil, but you can also use jojoba oil or coconut oil. I only used this one on my older children. For children under the age of 6, it’s suggested to use greater dilution. I applied this blend to their feet. You can also make it into a spray. Since this requires lemon and orange, be extra cautious as they can lead to photo-sensitivity. 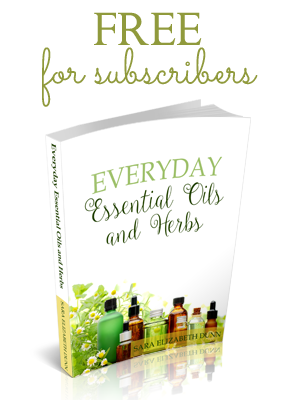 This recipe is great, especially since Purification has antimicrobial properties and is my go-to first-aid oil. The original recipe called for citronella. I substituted with Purification, since it includes citronella in its blend. Because of the lemon, though, please be careful as it can cause photo-sensitivity. This can also be used as a spray, but be sure to use a glass spray bottle. For my younger ones, I used lavender instead of lemon. The simplest of all the ones I tried! Thieves is a household mainstay in our family. We diffuse it during cold and flu season and now we diffuse it to repel ticks. All the recipes above seemed to work, and I included them all because everyone has different needs. For our family, we’ll continue using Thieves and the Purification/Lavender recipe. After mixing, I massaged the oil onto their bodies, avoiding their face. We’ve found several ticks either in or behind their ears, so I carefully applied some around the back of their ears. Do you know of other recipes to try? Is so, please share below. And if you try any of these, let me know how they work for you. I hate ticks too. This is the first year we’ve actually had to deal with them and they’re miserable, our youngest has had 2 on the back of skull that were both there at least 24 hours, fortunately they were 5 weeks apart. Thanks for the suggestions for oils! SO grateful for these recipes! Love this post! Such great recipes!! Do you use Thieves MIXED WITH the purification/lavendar recipe, or separately? Emily, I used them separately. Any natural hacks for Mosquitos that work? I hate bug spray. So gross! We love in the woods and Mosquitos are terrible! Hey! I would imaging any of these would help. Citronella is great, but I ran out of it just before using these, so swapped it for Purification. Many thanks for this great post. I will share on Facebook and use myself. This may sound silly but I’m concermed because I’ve seen so many posts about ticks lately. My boys are outside all the time! How do I know if we have a problem with ticks and how do I spot them? Do you guys look over your children everytime they come in? I do! 🙂 I don’t usually but my kids kept finding ticks on them. Even when using the oils, I still check them every time they go outside to play. So far we haven’t found any others. It’s definitely been bad this year. We had a picnic at church and one of the girls found one crawling across her plate, which was on the table. How little are your younger ones? Just wondering when it would be safe to start using on my son. He is only 4 months now so im not worried about it quite yet with him, but like to look ahead. I didn’t apply any of the oils on the baby. She’ll be 3 months on Friday, and she’s always in my arms or the sling. I have kept a very close eye on her for ticks. Personally, just writing as a mama 🙂 , I’m very cautious about using oils on babies under 2. But if there was an extreme situation in which my little ones need them, I’m very careful with them. My youngers are 5 and 2 (he’ll be 3 in July). Hello, I’m new to your site. My husband and I are traveling back east and would be doing a lot of walking in woods, etc. When you use the Thieves formula, do you rub it on your bodies or is that just for diffusing to repel the ticks in your home? A few questions… What type of carrier oil did you use for the purification and lemon blend? Also, can I mix up a larger recipe to keep on hand? Thank you! I hope one of these works. Lyme disease is a big fear of mine. We moved to the woods last year and ticks seem to be everywhere. Yesterday, we found one crawling on our couch! It was a lone star tick and the only reason we saw it was because of the white dot. I hope your son is feeling better. I know several friends dealing with lyme right now, and it’s not something I want to mess with. Do those repellents receipt are for any kind of ticks? Even for the ticks that carries the Lime disease? That are a lot here in NY. 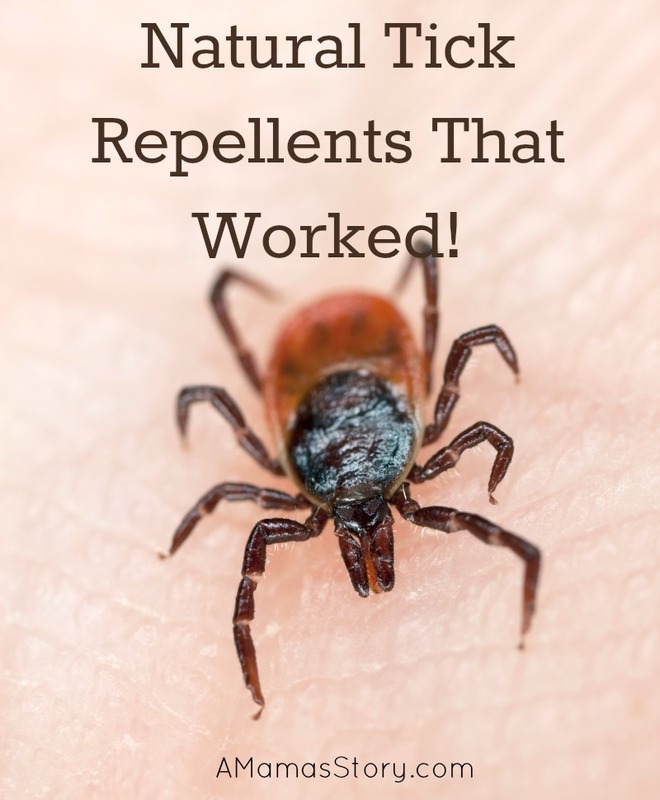 From the research I have done on natural tick repellant , it seems that rose geranium oil is at the top of the list. I found a simple recipe that I use for my family. 1 tsp rose geranium, 1 tsp alcohol, 8 oz water put into a spray bottle. Seems to be working. Oh! Thanks for sharing! I’ll have to keep that little recipe on hand for the future. Did you mean rubbing alcohol? And did you store this in a plastic bottle? Thank you. How do you apply to your dog? I have an aussie shepherd with long thick hair and the usual medicines are not working this year And what exactly are you using on it? I’m so glad that you mentioned about going to the doctor. Also, if you’ve been in a place where you could possibly have gotten a tick on you, and start having flu-like symptoms, go to the doctor. Our friends’ 5 year old son ended up in ICU with Rocky Mountain Spotted Fever– they had thought he had the flu, but he ended up so very sick! This was nearly a month ago, and unfortunately the RMSF ended up triggering something called HLH, so he’s still in the hospital. Anyway- better safe than sorry! i read a few blog posts that said Rose Geranium worked really well. They just applied it neet to them and their pets. If I want to make a spray of one of these recipes in a glass bottle to keep on hand, would I just mix the oils with water and if so, what ratio of water to recipe? Are you diffusing the thieves inside the house before and after play outside? I diffuse Thieves for up to 10 minutes, three times a day. Hi, I apologize for any redundancies. We have come to visit my parents in KY, who have woods behind their house. We have only been here for four days (not even going up into the woods, mind you) and have already pulled 2 ticks off of my daughter, one off of my dad, and my son found one crawling on the floor. They have all been the tiny tiny ones (deer ticks? ); I am becoming terrified that one will be on one of us and I won’t find it = / My daughter is 2 and a half, my sons are 3 and 5. At this rate, I would really love skipping any guess work and just get to what works. Could you please suggest to me the best recipe to use, and the best method of delivery? I feel like sprays may be quicker to apply, but if massage oils seemed more effective, I will gladly take the time to do that. I greatly appreciate any input; thank you so much! 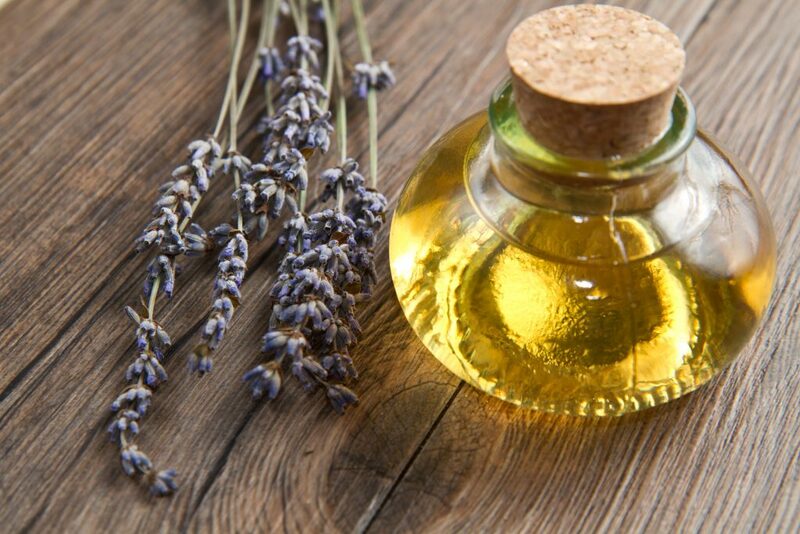 For children as young as yours, I probably would stick with lavender on its own–it’s going to be the gentler of all of the oils. I would also dilute it. I’ve used lavender on its own for my little ones, and it’s helped (on everyone else, I mix it with Purification, which is what seems to work best, but that oil is very strong–awesome, but strong–and I reserve it for the children who are 6 and up.) I would dilute 1 or 2 drops to 1 tablespoon of carrier oil, and gently massage on legs, arms, and behind the ears or wherever it is that they’re getting. I usually avoid hands just because I don’t want them getting it into their mouth. I also add a drop of Purification to each shoe. Where do you put the drop of Purification on each shoe–on the sole? Do you rub it around or just drop it on? Also, do you apply the oils to skin and shoes everytime they go outside or just once/day? Thanks! We just put a drop on the tip of the shoe. I don’t re-apply the oils unless they’ve been outside for a long time. My husband went 24 hours before re-applying and picked up one tick. He was still impressed compared to how it was when he used a conventional brand. Hi, I am going to make your recipe #1 for a Make-and-Take class. I am going to put it in spray bottles. What type of carrier oil should I use? Or would I just use water? Or witch hazel? Thank you! I would mix with water or a lighter carrier oil. If I decided to use witch hazel, I would still mix it with water. Sounds like a fun class. I know! It’s crazy! I remember seeing 1 tick during my childhood and it bit my dad. I’d never seen one before then. Now it seems they’re everywhere. I really appreciate these recipes! Thank you! Sure! 🙂 Hopefully one will work for you. Great post! I don’t like to use chemical bug spray but ticks are a bit of an issue especially with lyme disease on the rise. Found your post at the Simple Homestead Blog Hop. Thanks for sharing! Thanks so much for visiting. 🙂 Since I wrote this post, we DO live in the woods, and the ticks are brutal. As I recall, about twenty years ago or so fleas were at an epidemic level during the warmer months of the year where I live. We battled fleas for so long I wondered if it would ever end. Now it’s ticks! My poor cat, even with medication, comes in with ticks attached! It’s terrible! It doesn’t take long to transmit the bacteria that causes Lyme and about a dozen other diseases that are very serious. From the time a tick attaches to the time you feel unwell might be a matter of three weeks or less. You may or may not feel the tick or get the bulls eye rash. I had three ticks on me last June. I removed two. I didn’t know about the third (on the back of my ear) until the tick was enlarged. I removed it and thought nothing of it. I was ill with dizziness the week of June 17th. I was diagnosed with Lyme in July and spent five days in the hospital. I have been on antibiotics five times and was recently reinfected with Lyme by a tick I never knew was there!. I need a serious tick repellent so I am going to try your purification/lavender recipe. Thank you!